To buy this product please contact with us. 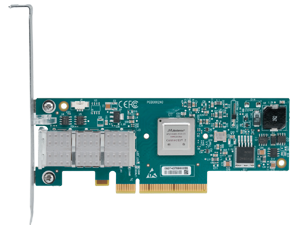 Call : +(1) 408-943-8000 or "Enquire Now"
ConnectX-3 adapter cards with Virtual Protocol Interconnect (VPI) supporting InfiniBand and Ethernet connectivity provide the highest performing and most flexible interconnect solution for PCI Express Gen3 servers used in Enterprise Data Centers, High-Performance Computing, and Embedded environments. 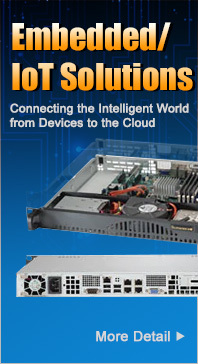 Clustered data bases, parallel processing, transactional services and high-performance embedded I/O applications will achieve significant performance improvements resulting in reduced completion time and lower cost per operation ConnectX-3 with VPI also simplifies system development by serving multiple fabrics with one hardware design. * This brief describes hardware features and capabilities. 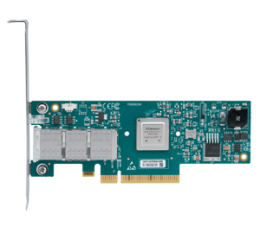 Please refer to the driver release notes on www.mellanox.com for feature availability.